Russian oligarch and Hollywood actor threw a party on the Domino yacht in Spain. 53-year-old Russian businessman Vladislav Doronin and Leonardo DiCaprio had a party on the most luxurious yacht moored off the coast of Ibiza. 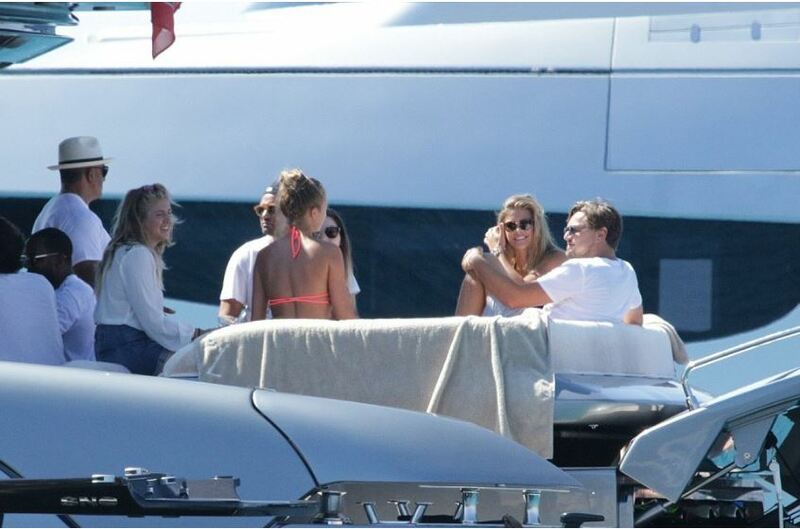 Doronin invited his longtime friend Leonardo DiCaprio, who came to the party not alone, but with his company: "Spider-Man" Tobey Maguire, sweetheart Nina Agdal and dozen of long-legged beauties. However, all of them failed to attract the attention of Doronin, who during the cruise was accompanied by a 23-year-old lover Kristina Romanova and their six-month baby. 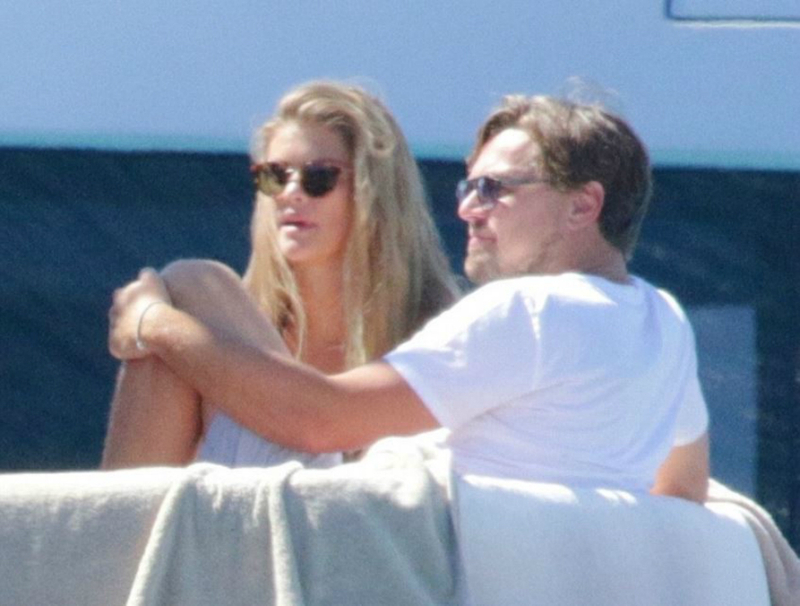 It is worth noting that the 41-year-old DiCaprio looks much better than a year ago. Last summer, the "survivor" was unrecognizable because of the huge "beer" belly and a shaggy beard. The Oscar-winning actor spent a lot of time with his girlfriend - 24 - year old Victoria's Secret model Nina Agdal. DiCaprio even organized a little photo shoot for her, imitating a scene from "Titanic."